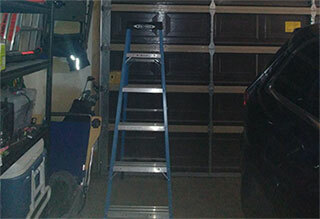 TLC For Your Garage Door! If you really want to get the most out of your door system, you should make sure it receives adequate amounts of maintenance. This won't just help the mechanism last longer, it will also ensure that the door remains safe for you and your family members to use; not to mention, it will save you money on preventable repairs. In order to determine whether springs need to be adjusted or not, our team will conduct a balance test on your garage door. Doing this every so often is very vital, as if the door gets unbalanced, these units could be overstraining, which will cause them to break down sooner rather than later. If it is needed, we'll carry out the spring adjustment process right then and there, and make sure your door can and open and close with relative ease. Over time, the effects of the constant wear and tear the mechanism is under will begin to show. That's why it's important that our technicians inspect all the hardware parts and make minor to major adjustments and tweaks. We'll make sure the tracks are aligned and repair any bending or dents we find. We'll then proceed to lubricate the rollers and the springs, to ensure their smooth and silent performance. We'll also check the condition of the panels and fix any superficial damage we discover. If more extensive repairs are needed, we'll let you know so you you'll decide how to proceed. Last but not least, we'll test your opener's safety features to make sure they are functioning without any issues. We'll check the alignment of the safety sensors and the sensitivity of the auto-reverse mechanism. If these feature fail our tests, will adjust their settings until we're satisfied with their function. If they continue to fail, we'll replace the components in charge of the problem. Instead of taking the reactionary approach, be proactive and schedule a maintenance appointment with our technicians. Our experts at Garage Door Repair Glendora can help you make sure your system experiences the least amount of problems possible.